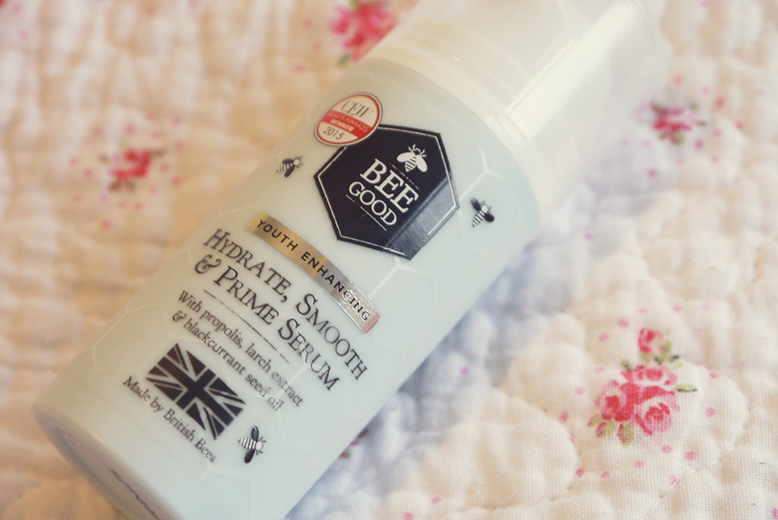 With all the Christmas and new year parties coming it's the perfect time to test out a new primer, I have the new Bee Good Hydrate, Smooth & Prime Serum* to try out and so far I have been super impressed. As mentioned in an old review, I currently use the Nivea Men post shave balm as a primer because it has high levels of silicon which is great to stick make up to the skin... but it clearly isn't meant as a primer. I have been mixing a pea sized amount into my soap and glory speed plump moisturiser every morning before applying concealer and have found that it works very nicely at extending the life of my make up. It's not quite as good as my Nivea Men however it is a very nice hydrating product and smells like berries. 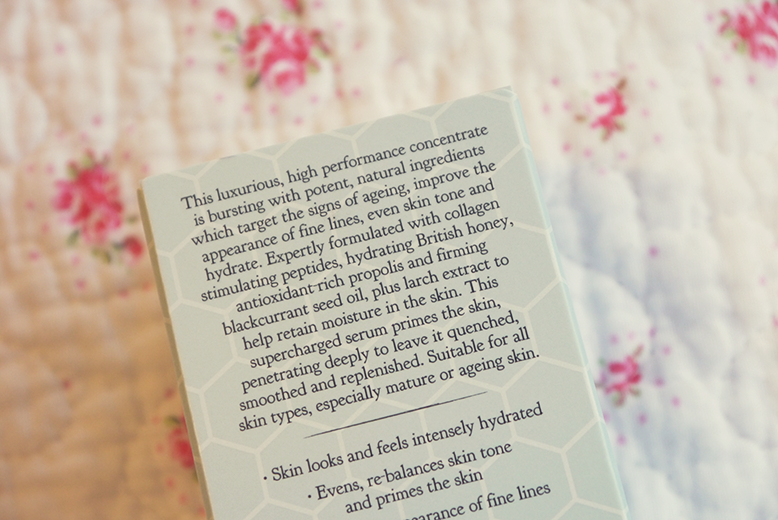 It's a pump applicator and a thin but generous consistency so a little goes a long way. 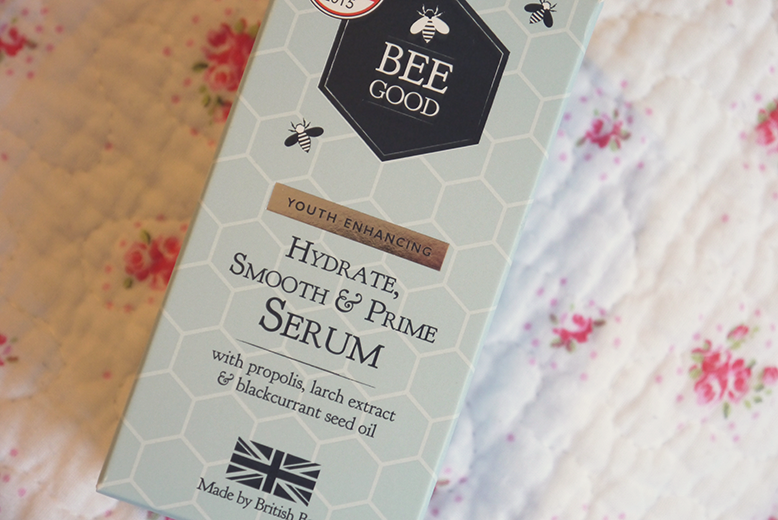 I really love the packaging of Bee Good products, they're always so dainty and they always promote it's British background and use of honey. It claims to be youth enhancing which can only be a good thing and with me being a grand old 22 now it's never to early to help prevent those crows feet! To see more about this product, click here.